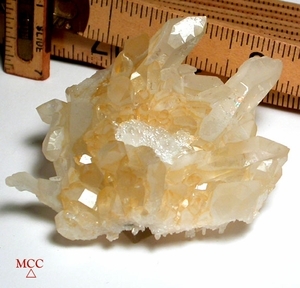 Deeply colored golden healer crystals, and a few preferentially frosted ones radiate! from a white center of regrowth - a sunburst of points - they're mostly doubly-terminated and form a sparkling white curved plate bottom, reversing the top side with an [off center] bit of sandstone with goldens around it! 1-3/8 tall x 2-1/4x 3-1/2" [cabinet sized], the golden tones are iron inclusion and the white 'designs' titanium thus giving great dimension and much to study. 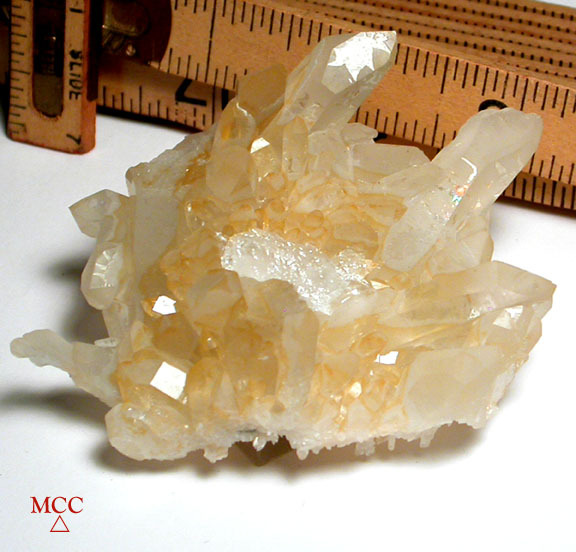 The largest crystal is 3/8x 1-5/8". 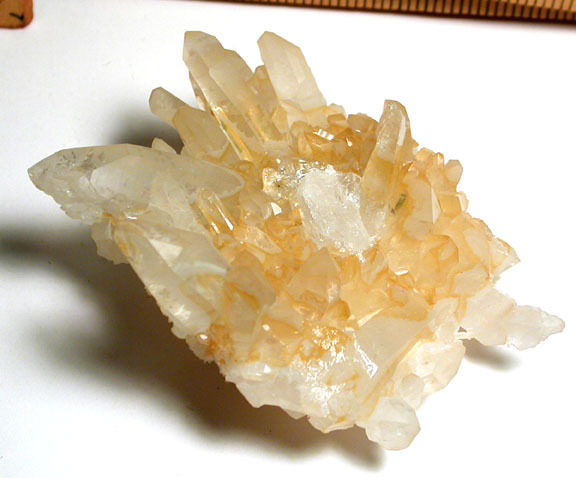 One of the crystals nestled up to it a very well-defined rare scepter! Other members of note are an uncommon 7h faced point, and a pair of 'kissing twins' which meet at their tips. Undamaged, record keepers, a rainbow, luminous crystals from the type locality of Collier Creek, Arkansas.